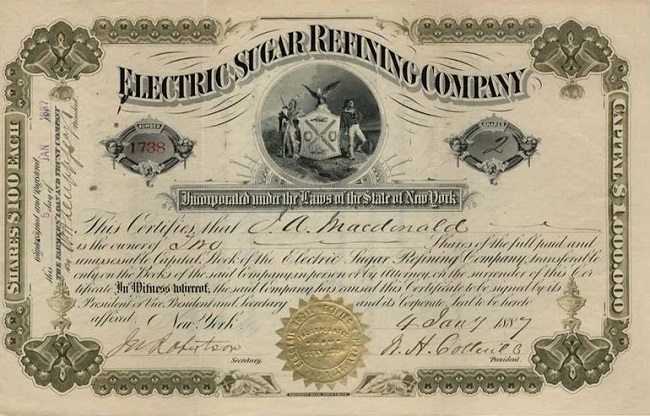 Stock certificate from the Electric Sugar Refining Company (1884–1888) signed by its president, William H. Cotterill, on January 4, 1887. J. A. Macdonald is the unfortunate man who spent $200 on this stock. Image courtesy of Wikimedia Commons. “There is no city in the Union in which impostors of all kinds flourish so well as in New York,” wrote James McCabe a decade before the Freunds arrived on the scene, and recent arrivals—whether migrants, immigrants, and tourists—were “easy prey to the villains” who populated the city. McCabe himself fell victim to petty scams when, hoping to pursue a literary career, he arrived from Richmond after the end of the Civil War. He had already met with some success as a writer; The Guerillas (1862), one of three plays written when he was twenty years old, was “the best known and most extensively reviewed” of the dozens of Confederate productions staged during the war—although McCabe later regarded his plays as “literary sins.” After he moved to the North, he published dozens of books under his own name and several pseudonyms; no complete bibliography of his writings exists, but among them are Civil War histories, including biographies of Robert E. Lee and Stonewall Jackson, and—most notably—books for travelers to New York and Philadelphia. For the purpose of performing this task, the writer made visits, in company with the police officials of the city, to a number of the places described in this work, and he is satisfied that no respectable person can with safety visit them, unless provided with a similar protection. It is not safe for a stranger to undertake to explore these places for himself. No matter how clever he may consider himself, no respectable man is a match for the villains and sharpers of New York, and he voluntarily brings upon himself all the consequences that will follow his entrance into the haunts of the criminal and disreputable classes. The city is full of danger. Among the cautionary sections in Lights and Shadows of New York Life are chapters on lotteries and faro banks, fraudulent marriage advisors and duplicitous divorce lawyers, fortune tellers and clairvoyants, “curb-stone brokers” and “quack doctors.” In the essay “Impostors,” McCabe examines the breed of con artists who, like Henry Freund, manufactured identities or fabricated credentials for financial or social gain. * Additional details on the Electric Sugar Refining Company scandal and its aftermath can be found online at the Museum of Hoaxes and in a four-part series published by Brownstoner. Notes: On page 263 is a reference to “the Lord loveth a cheerful giver,” from 2 Corinthians 9:7. Uriah Heep is a character in Charles Dickens’s David Copperfield, a clerk whose repeated insistence that he is “very ’umble” belies his treachery. 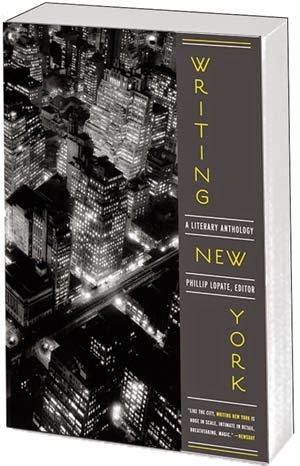 There is no city in the Union in which impostors of all kinds flourish so well as in New York. . . . If you don't see the full selection below, click here (PDF) or click here (Google Docs) to read it—free!